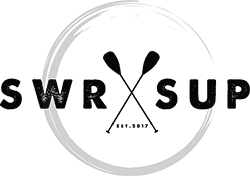 SWR SUP - About our boards and stand up paddle boarding. The team at SWR SUP (South West Rocks Stand up Paddle boarding) utilises the latest high quality Naish stand up paddle boards amongst our quiver. These highly stable and easy to learn on boards, are designed for all round cruising, exploring, and learning the basics. Naish boards feature an extra wide outline throughout the nose mid-section and tail which provide incredible stability and control. Stand up paddle boarding itself, originated in Hawaii, and has grown into many differing classes and styles. Still water racing, river paddling, white water rapids, elite big wave, and even long distance ocean races between islands. Of course there is also just the sheer joy and tranquillity of going for a paddle around and getting some exercise in nature. Suffice to say, it has been a fast growing recreational activity. Stand up Paddle boarding delivers, fun, fitness, and benefits core strength. There is also the added enticement of advancing from still water SUP towards the more demanding stand up paddle pursuits, such as taking on rivers, and the open ocean.